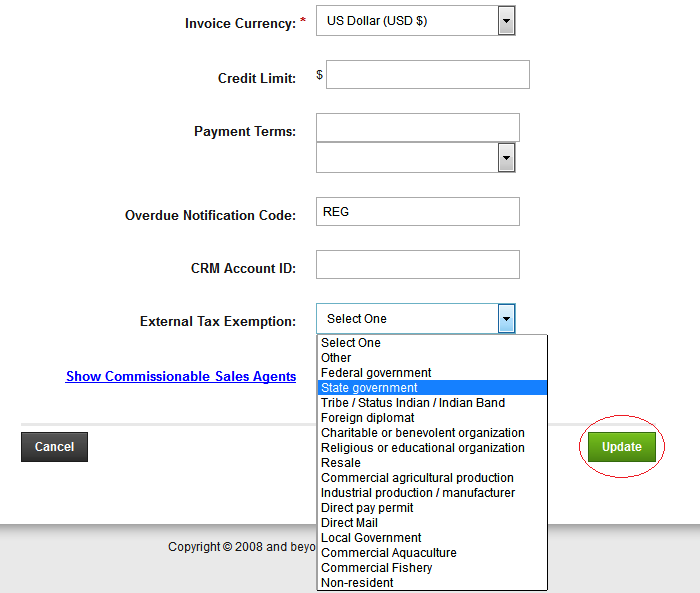 Navigate to [System > Integration Settings > Sales Tax Configuration] from the menu bar. 7 Custom settings Here enter the field “companyCode” in the first row and provide the value registered in the Avalara configuration. 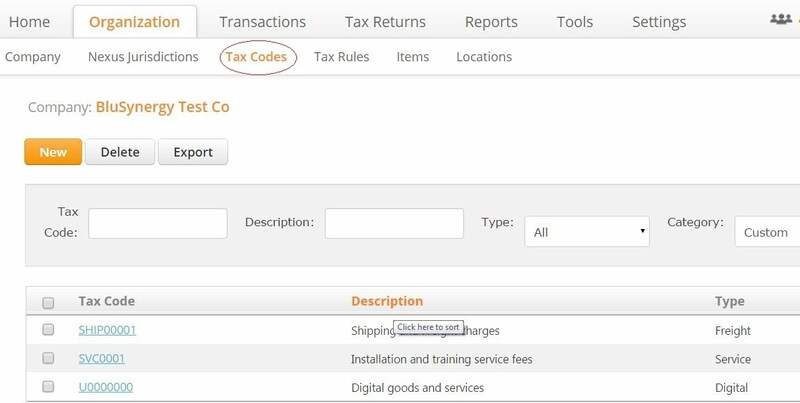 If your organization is also using General Ledger account numbers, then you can enter "accountingCode" in the second row along with it's value so that the tax line items map to a particular account number. If you organization is using "Trial Billing Runs (Approval required)" then you need to enter "TrialBillingRuns"="true". This is used to synch the Avalara "commit" feature when invoices go from Draft mode to Outstanding. It also controls the re-synch of invoice line items when the invoice is edited. 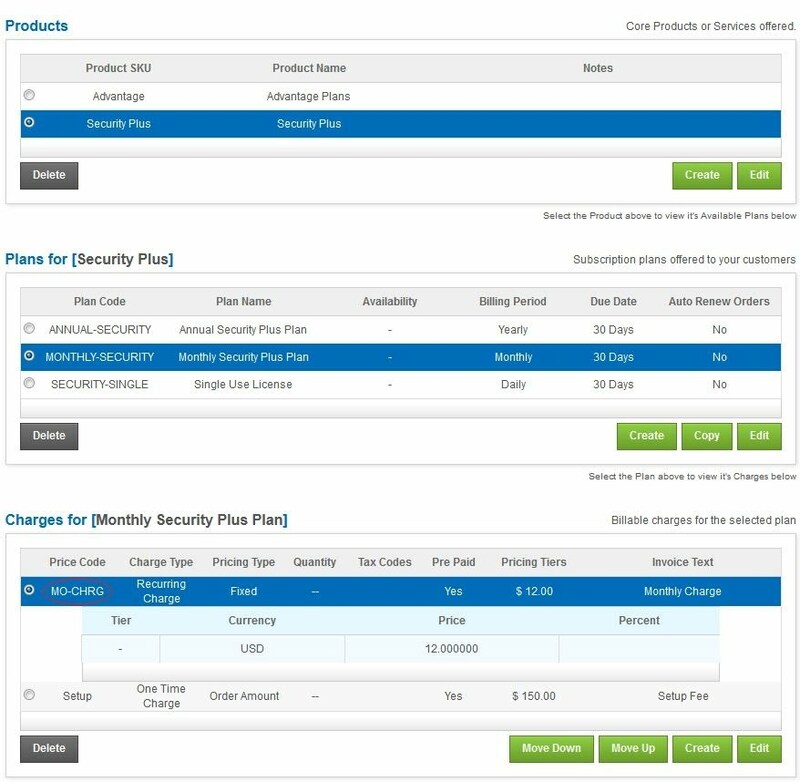 The BluSynergy “Charges” are mapped to Avalara “Items” which can then be mapped to Avalara “Tax Codes”. The former mapping is performed inside BluSynergy, whereas the latter mapping is performed inside Avalara. The following table depicts a sample configuration for a web hosting enterprise that offers an annual and monthly Plan. This example depicts how revenue for monthly storage changes (STOR) may be tracked separately from the revenue for annual storage (STOR-PREPAID), even though they map to the same Tax code. 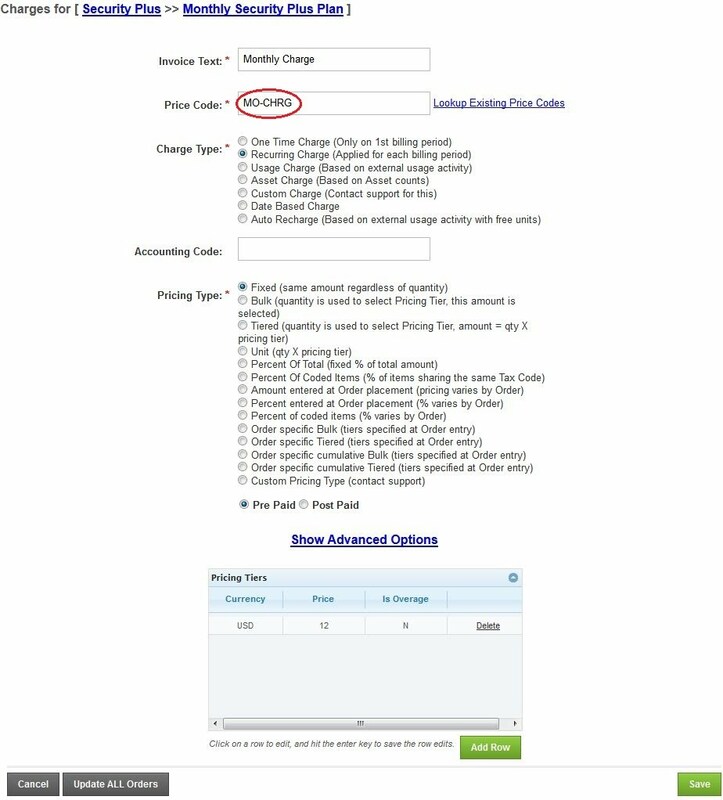 Specifically, the “Price Code” field of each Charge in BluSynergy maps to Avalara’s “Item Code” field for each Item. 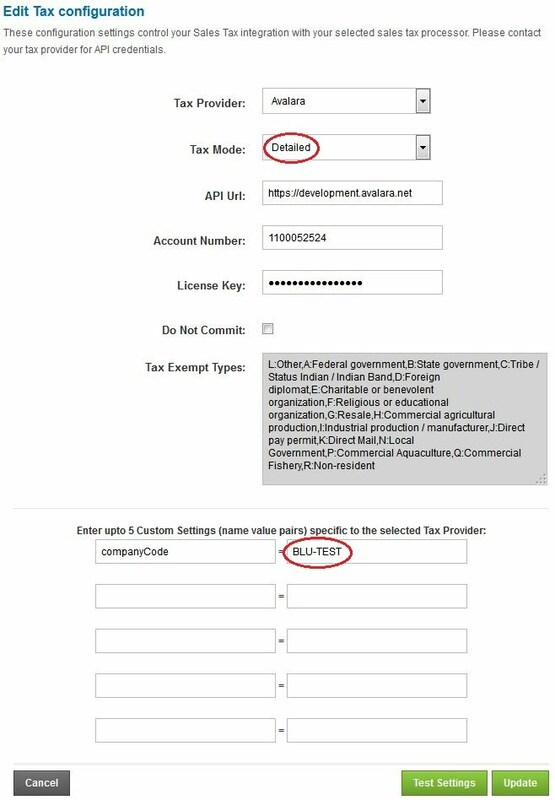 Each Item has an associated “Tax Code” field. In the Avalara product, navigate to [Organization > click on your Company Name > Items], click on items.